Language Lizard and our colleagues at Mantra Lingua UK were honored to support a recent charity initiative of eClinicalWorks, to provide literacy materials to thousands of dual language families in Tennessee. eClinicalWorks, a leading healthcare technology solutions company, assembled book kits for children in the Metro Nashville Public Schools. Spanish, Arabic and Kurdish speaking families received two of our most popular bilingual books in English and their home language: The Little Red Hen and the Grains of Wheat and The Giant Turnip. It is a great gift when corporations are able to support the literacy development of dual language learners. We appreciate their spirit of giving and wish everyone a wonderful holiday season. Remember #GivingTuesday! Note: If you know any companies that would like to partner with Language Lizard to support dual language learners, please ask them to contact us. In certain situations, company logos can be included on books. Today’s spotlight language is Somali! We offer some background information and interesting facts about the language, as well as help finding children’s books in Somali. Interested in learning about other languages as well? Check out our series of posts on world languages, including Spanish, Nepali, Hindi, Russian and Japanese! Somali is a part of the Afro-Asiatic language family. Somali is spoken by an estimated 16 million people around the world. It’s the official language of Somalia, with several regional dialects, and is also spoken in nearby countries, like Kenya and Ethiopia. How Many People Speak Somali in the US? According to the most recent 2010 US Census data, there are about 100,000 Somali immigrants in the US. There are large Somali speaking populations in Minnesota, Ohio, Washington, California, and Washington, DC. There are multiple writing systems used to express the Somali language, including Arabic, Wadaad and Osmanya. The Somali language has 20 distinct vowel sounds. It is spoken with three different tones (high, low and falling) that indicate things like gender and number. Somali has been influenced linguistically by other languages, like English, Italian and Arabic. If you interact with children who speak Somali, or are learning the language, you may want suggestions on some of the best bilingual Somali kids books and audio books. Many engaging and popular stories with text in both English and the Somali language are available, including Handa’s Surprise, the Very Hungry Caterpillar, Hansel and Gretel and Pandora’s Box. There are also Somali book sets that allow for interactive learning via a special Recorder Pen, audio books and an interactive Somali picture dictionary. Do you speak Somali, or are you learning the language? Comment below and share your interesting language facts! When it comes to choosing bilingual books to share with our little ones during the summer, the choices seem endless. Who can decide on just a few when there are so many to choose from? To help you pick the right bilingual books for your family this summer, we have put together the following lists based on some popular topics. 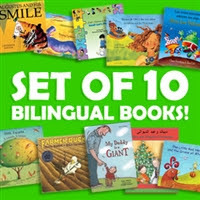 We hope you will find just the right books to make your summertime as enjoyable (and bilingual) as possible. 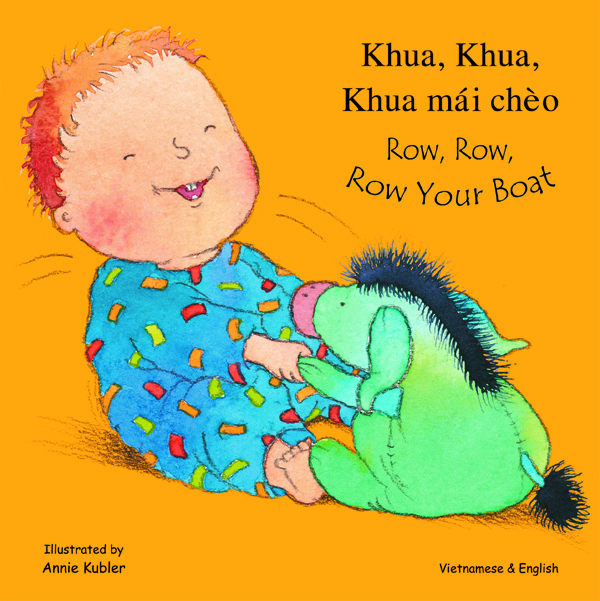 Feel free to head over to our main Language Lizard website to find even more fantastic bilingual books!